What do sea shells, Magisto.com, and lightbulbs have in common? Discovery! 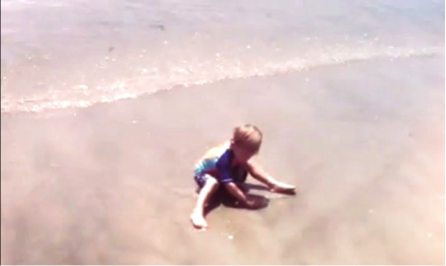 The sheer enchantment of a 3-year old discovering seashells at the ocean; the happiness of a father discovering how to use Magisto.com to share his video of his child’s first-time discovery; and the excitement of a teacher when their students have those light bulb moments and at last discoveries that they finally “get it.” All lovely illustrations of discovery. When teachers are asked what some of the best rewards of teaching are, one response that is always shared is “one of the best joys of teaching is when our students have ‘light bulb’ moments.” Sheer enjoyment; and a main objective of teaching. One way teachers can create more lightbulb moments is to be passionate about their teaching. If the teacher is passionate and excited about the lesson, the students will be too! 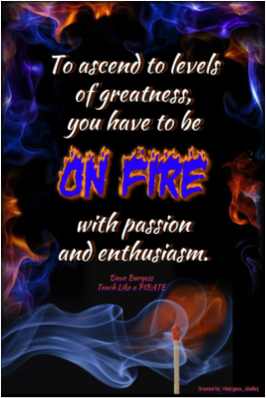 In his book Teach Like a PIRATE, author Dave Burgess tells teachers that in order to “ascend to levels of greatness, you have to be on fire with passion and enthusiasm.” Dave’s wife, Shelley Burgess, created this awesome picture as a reminder for all teachers to stay passionate. As summer approaches and the end of the school year is near, go out and discovery new things. Find new ways to add excitement to your lessons for next year, download Magisto.com, and capture special family discoveries. Most importantly, simply enjoy each day’s new discoveries. Please share some of your new discoveries with us in the comments below.